To be successful in selling your home in Southwest Florida you have a variety of options from which to choose. At Gulf Coast Associates, Realtors we'll guide you though the selection of a more focused marketing approach that fits your individual needs, as competition is fierce based on the number of both new and existing homes currently on the market in SW Florida. 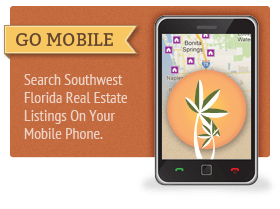 Our approach for marketing your SW Florida home is to first provide the necessary basics; namely widespread exposure through all available multiple listing services in your area with localized exposure based on the type of property you are trying to sell. Statistically, the majority of homes are sold by other real estate agents through the use of the Multiple Listing Service. At Gulf Coast Associates, we belong to two of the largest listing services available in Southwest Florida, share alliances with three of the other largest and belong to both Florida's statewide listing service, the Florida Living Network, and the National Association of Realtors listing database, Realtor.com. In addition, we have affiliated ourselves with several international listing services, so your home will enjoy maximum "blanketed" coverage where agents and buyers can find it at anytime. At Gulf Coast Associates, we've also added one of the best multiple listing service IDX search solutions (database search for homes) on the market, so buyers can easily enter their search criteria and find all the available listings of homes for sale on Southwest Florida's Gulf coast. Professional Video Tours and Slideshows - Every home receives a professional video tour or slideshow. With so many buyers seeking information from the "Net" it's imperative that as many photographs as possible be available. Open Houses, E-mail and Direct Mail Campaigns - We'll provide a detailed schedule of appropriately scheduled "Open Houses" for your property. In addition, your home's pictures and salient features will be emailed to every agent participating in the Multiple Listing Service. Plus, your neighbors will receive a postcard mailing of "Just Listed" letting them know your home is available too. You'd be amazed how many SW Florida homes sell via this "word of mouth" marketing avenue. Reverse Prospecting - A real easy way to understand this concept of marketing is "match-making." By entering your home's data into the various multiple listing services we can also do a "reverse prospect" list. We'll know, before we even list your home, who is looking for one like it and we can immediately contact those buyers through their representatives. Further, we maintain a list of what our own buyers are seeking so your home can immediately catch the eye of a prospective buyer registered with our firm. No longer do buyers search classifieds in the local paper for listings - 98% or better begin their search on the "Net." With a highly mobile population, a strong second home market for buyers that are both national and international in scope, and the volume of property for sale in Southwest Florida, the Internet is taking real estate sales into the next generation. Some of the web exposure outlets are quite well known. Listing portals like Realtor.com and World Properties International and blogs like ActiveRain are just a few examples you may have already heard about. Others like B2BRE.com are not so obvious. Many times when our clients ask about internet marketing their eyes glaze over at our response. So, some further explanation and some more examples might help. 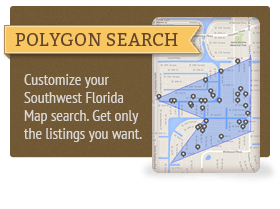 Unlike listing portals showcasing your Florida home, other sites on the Web allow for us to drive buyer traffic. These could be either buyer clients or other agents representing buyers searching for homes for sale. Some of these marketing outlets have been around for a long time. Sites like the ABC's of Real Estate and Real Estate Roster are Granddaddy's that are very well known. Others like Epowered Professional Real Estate Agents and Homes In Other Cities are less so. Also, some are national in scope like U.S. Real Estate Agents and some are more locally oriented - Florida RE Agents. The most important thing to understand is that without this additional type of internet exposure, your home could be missing out on numerous potential buyers searching for property information in Southwest Florida. While these are just some of the examples of the ways that Gulf Coast Associates will help you with "focusing" the marketing of your home, there are many others which you may want to consider depending on your individual situation. For a more in-depth discussion on what we can do, please feel free to contact us and one of our associates will be glad to go over all the options we have available.